The remarkable solvent d-Limonene is the foundation of this product. 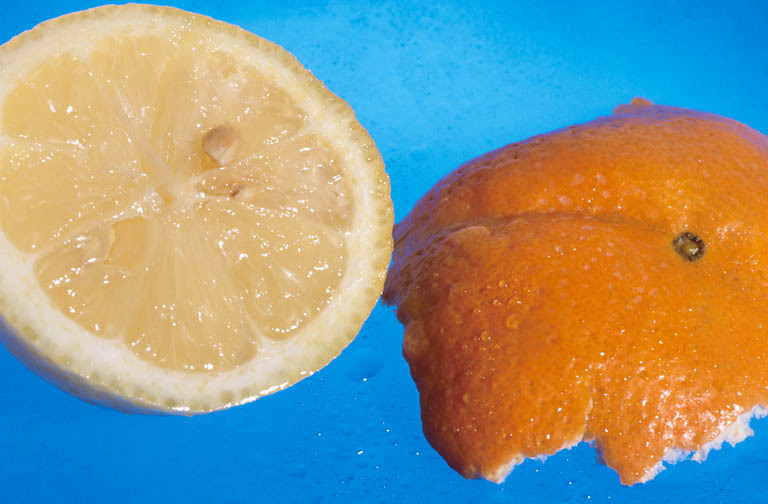 Made from citrus peel extracts, d-Limonene has the amazing ability to dissolve grease, grime, oil and tar on contact. By combining d-Limonene with a carefully tested blend of biodegradable detergents and emulsifiers, this product attacks a variety of tasks ranging from degreasing engines to removing adhesives from floors. Naturally derived, environmentally responsible and provides a safe alternative to petroleum distillates and harsh alkaline cleaners. For parts washing and equipment cleaning, use undiluted. To clean masonry and concrete: Dilute 3-5 ounces into a gallon of water. For kitchen areas: Dilute 1-3 ounces per gallon water and spray, clean or mop. Caution: Combustible. May be harmful if swallowed. Eye and Skin irritant. Keep out of the reach of children. VOC content................................. ; 88% by wt.